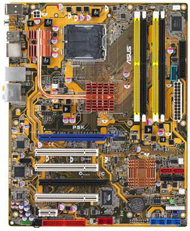 This is (hopefully) the last Motherboard I will buy. The ASUS P5K which has just about everything I need (and maybe a couple extra slots should I decide to invest in 1-2 more PCIe DSP cards). Don’t let the title of this post mislead you – it can imply that I’m tired of computers in general and that I’m quitting the use of them for audio work. Quite the opposite in fact; I love my current computer setup so much that I was motivated to write this to perhaps inspire anyone who might read it to work towards feeling how I feel right now about my current configuration: At Peace, with a sense of satisfaction and accomplishment. First, let me begin by saying that I’m currently on my fourth PC DAW build and that somewhere in the back of my mind, the reason why I’ve set aside weekends in the past to do nothing but assemble and configure a system has been to work towards an optimal setup (for me, that means having one that I can work with for as long as I want, without any problems). I love the Sennheiser HD 650 headphones. 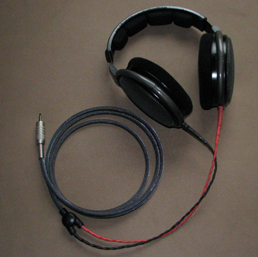 It’s one of the three pairs I use for Mastering audio and trust them to give me an accurate low frequency response. When I check my masters over my Bowers & Wilkins 2.1 system, there’s never a surprise when it comes to the low end. I can’t say I trust these headphones completely for the entire frequency spectrum, but from everything that matters in the lows and low mids, these are money. 10 years ago this year, I launched redsecta.com to the world with a simple idea: Provide the most professional mixing and mastering services to the Hip Hop community, and give this genre of music the same kind of “audiophiliac” attention to quality and detail that is given to any other genre of music. Listen, it’s completely okay for MCs to not know (or care) too much about the technical aspects of creating a record (if you’re one of those DIY rappers who loves to be involved with all stages of recording, mixing and mastering, this is not for you – you might find yourself more at home arguing about tube gear and how many limiters you use on your mixes on a message board).